This free sleep tracker printable is just what you need to monitor your sleeping habits! Download this printable bullet journal spread here! Our collection of bullet journal trackers is still the place to be each month when the time comes to plan next month’s spreads. But drawing out each layout can take time and some of our readers have been asking for printable spreads to make life a little easier. 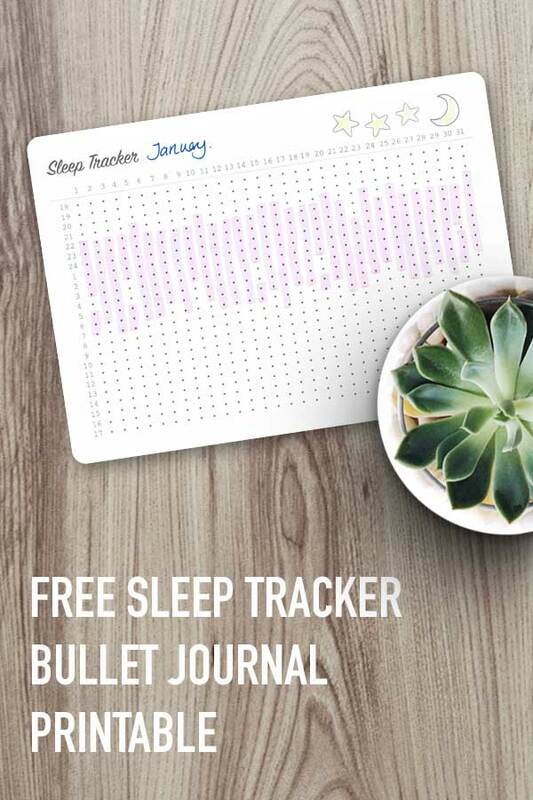 So that’s just what we’re going to bring you, starting with a free sleep tracker printable! Tracking your sleep with this printable is super easy. As you can see in the pictures, you just use a highlighter pen, or even a crayon to colour in the dots to show when you went to sleep and when you woke up. The hours start at 5pm and go all the way through to 4pm. Yup this way you can keep track of your sleep whether it’s in the night, or the daytime, and you can also use it to track your child’s sleep too! 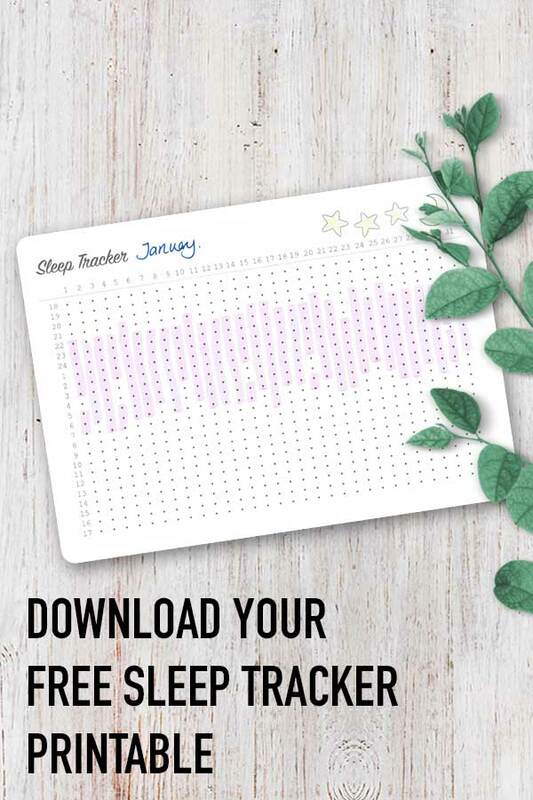 You can print out the tracker full size if you want to keep it in a folder or stick it to your fridge. 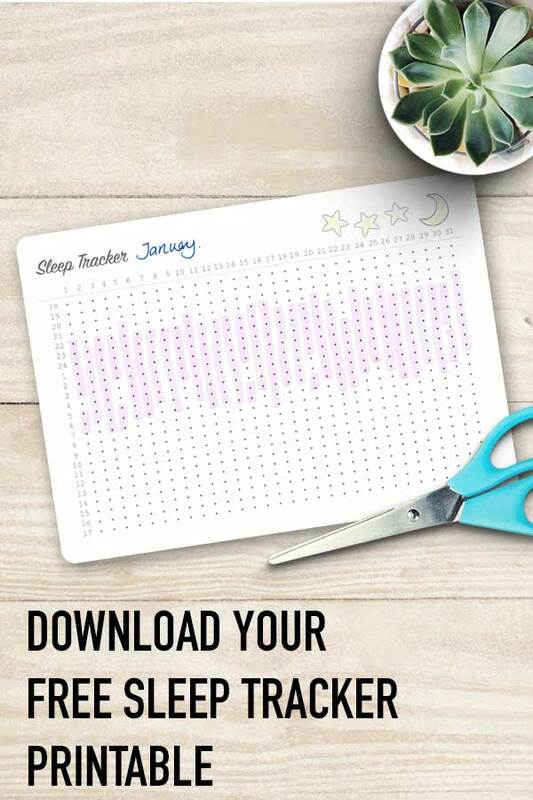 There’s also a handy half letter sized version which is perfect for using in your bullet journal or your planner. You could print it out on regular paper and paste it in with glue, or treat yourself to some of this sticker paper so you can just peel off the backing and stick it in! Bullet Journal Pen Test Spreads You’ll Want to Try for Yourself!